Two congressional Republicans presented a new bill for a free marketplace alternative to the Affordable Care Act (ACA), which they modestly christened the “World's Greatest Healthcare Plan Act of 2016." Rep. Pete Sessions (R-Texas. ), who co-authored the new bill along with Sen. Bill Cassidy, MD (R-La. ), argued their proposed plan is more sustainable than the ACA. Their proposed plan would not repeal or replace the ACA -- people can keep their current coverage if they choose to -- but would be an alternative option. It would scrap the employer and the individual mandates, and instead provide tax benefits to every U.S. citizen of $2,500, plus a $1,500 tax benefit for every dependent minor, as long as the minors are also U.S. citizens. A family of four would received a total of $8,000. "The tax credits are an incentive for the American people to have coverage of their choice," Sessions said. These credits could be directed into health savings account, using pre-tax dollars, or assigned to an employer. Lower-income employees who don't get coverage through their employer could use the credits toward buying a basic health insurance plan. Physician training on the risks of prescription opioids should be mandatory, a US Food and Drug Administration (FDA) advisory panel concludes. The FDA’s Drug Safety and Risk Management Advisory Committee and its Anesthetic and Analgesic Drug Products Advisory Committee unanimously voted to modify the extended-release (ER) and long-acting (LA) formulations opioid analgesic Risk Evaluation and Mitigation Strategies (REMS). In addition to most panel members recommending that the training be mandatory and include IR drugs, some suggested that it also focus on pain management rather than on opioids, be tied to the recently released Centers for Disease Control and Prevention (CDC) guidelines, and involve mental health and suicide screening. "An FDA safety review has shown that fluoroquinolones when used systemically (i.e., tablets, capsules, and injectable) are associated with disabling and potentially permanent serious side effects that can occur together. These side effects can involve the tendons, muscles, joints, nerves, and central nervous system," the FDA said. 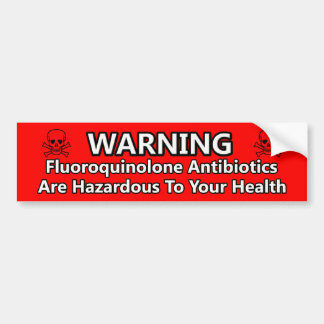 Fluoroquinolone antibiotics, the class that includes ciprofloxacin (Cipro), should not be used to treat uncomplicated infections such as sinusitis, bronchitis, and urinary tract infections for which other drug types are effective, the FDA announced. Only patients with these conditions who can't be treated with other agents should receive fluoroquinolones, the agency said. Citing a lack of cardiovascular benefit, the FDA is taking the unusual step of withdrawing approvals it had previously given for their combined use with statins to treat high cholesterol. Based on several large cardiovascular outcome trials the FDA decided that "scientific evidence no longer supports the conclusion that a drug-induced reduction in triglyceride levels and/or increase in HDL-cholesterol levels in statin-treated patients results in a reduction in the risk of cardiovascular events. HIPAA is something that we are all concerned with. There is a tendency to think that it is less than important to protect patient information, but learn more from this article. What is more valuable to a hacker than someone's credit card information? Their protected health information [PHI]. If you go out on the "deep web" where people sell stolen goods, a credit card may be valued at $1 to $2 but your PHI can sell from $20-$200. "Your Social Security number, if I had that, and I was an attacker, I could continue to use it again and again ... This is why many entities are coming for your PHI," said one security expert. When it comes to unsecured PHI, there are two types of data: "data you know about and data you don't," he said. At one company "I found a maintenance closet; it had no key, no video, no lock. As we walked into the closet ... We found a little over 6 million individual paper records in that room." The notion that protected healthcare information isn't very valuable is just one of the misconceptions to which many in healthcare subscribe.